I took a few shots at the races of http://www.dasmotorsportspielliga.com/. 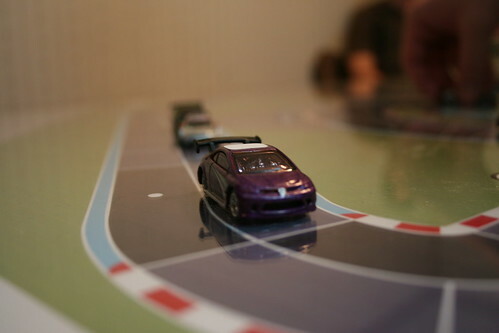 This is a racing league dedicated to the dice and board game, Das Motorsportspiel. The game is a lot of fun. Currently in the league we each race two different cars, and the league runs a series of races, both originals from the game and prints created and shared online.